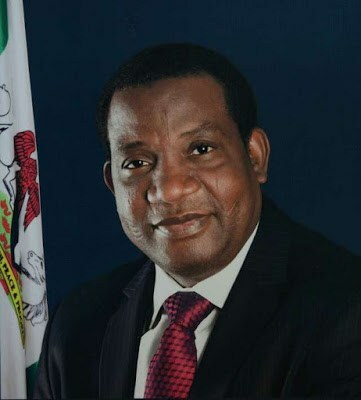 Governor Simon Bako Lalong has asked Plateau citizens to forgive his Government where they have erred as they are human and bound to make mistakes as he promises to bring perpetrators of Violence to justice. Lalong was responding to the affirmation of his candidature as the sole bearer of the All Progressives Congress ticket for a second tenure by delegates of the party in Jos. Delegates of the All Progress Congress APC in Plateau state on Sunday affirmed ,Governor Simon Lalong as the party’s flag bearer in next year’s Governorship election. Moving the Motion to affirm Governor Lalong ,the speaker of the state house of assembly Hon Joshua Madaki said because of the security situation of the state and Lalong been the sole aspirant ,he should be affirmed ,the motion was seconded by the former deputy Governor of the state Pauline Tallen . Speaking after the affirmation ,Lalong thanked the delegates for the confidence reposed in him . He said “I see a very clear future of Plateau , we shall overcome all the challenges facing Plateau , I want to thank the people of the state for their support ,and appealed to the people of the state to continue to support me at a times . There has been no response to "“If I Have Offended You, Please Forgive Me”- Lalong Begs Plateau People"